For Centre Party, late autumn this year is a decisive moment as members convene – for conference. Before that, no decisions are taken; rather, a decision or message is expected from chairman Edgar Savisaar undergoing physical recovery. Kadri Simson ja Jüri Ratas. Truth be told, the elections and whatever happened afterwards has upset all «old» political parties. With Centre, it is standby time especially with Tallinn. The works continues, everybody knows their domains, the budget has been laid down with a supplementary one in pipeline. 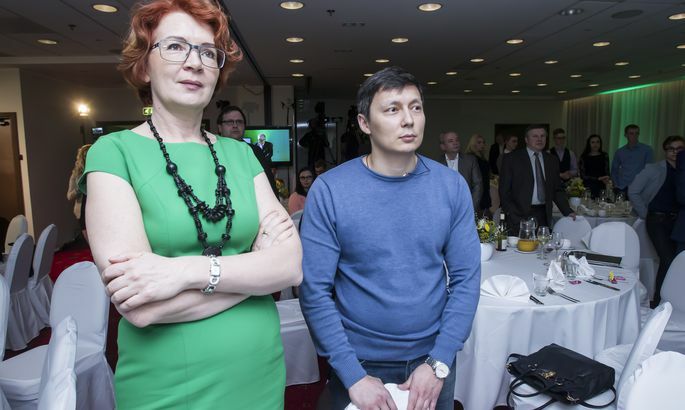 Inside the party, an issue has risen: how will the Russia-minded deputies be behaving in Tallinn city council, making up two thirds of all representatives of Centre. The deputies, used to iron rule, may at some point turn restless. When cometh their time? Edgar Savisaar has succeeded in keeping them in check. And before 2.5 years have come and gone – local elections are scheduled in October 2017 – changes are unlikely. As for Mr Savisaar, for quite a while he will be able to draw on vacations and sick leaves; before the year is over, however, he is expected to come up with some solution. Meanwhile, as vice leader of the party, Kadri Simson is doing a nice job. A clear message is also sounded by Kalev Kallo soon to be elected chairman of Tallinn city council. As an «old school» Centrist, he knows the bunch well and can keep the votes together. Meanwhile, as hinted to Postimees, Reform has already attempted in Tallinn to lure a couple of Centrists over into their camp. For the time being, such endeavours look hopeless. At recent elections, Mr Savisaar pocketed votes from Russians and Estonians alike. As for the upcoming local elections, however, one thing is certain: if the man lacks willingness or motivation to continue on the frontlines, none can repeat his feat. The thousands Russian speaker votes in Lasnamäe would probably fall to Mihhail Kõlvart or Yana Toom. Would that mean Centre becomes a Russian party? Even inside the party, they believe this will not be; even so, regarding Tallinn the threat or trend does exist. To the knowledge of Postimees, the Russia-minded deputies have been to city fathers to test the waters: how big their options to increasingly shift to the forefront in Estonia’s capital. Tallinn vice mayor Mr Kõlvart, having harvested 11,004 votes at elections, deemed the great support a positive surprise and a great responsibility. «My votes are not just trust, but also a responsibility and expectations regarding a definite person. It seems to me that I could realise it best by staying at my current post. It will depend, of course, on what the party decides,» he noted. Mr Kõlvart has opted to stick with municipal work. «I find that currently I am better able to stand for the interests of my voters by continuing as Tallinn deputy mayor. Also, when it comes to governing Tallinn, it is not prudent at the moment for a deputy mayor to leave his post,» he said. Indeed: in Tallinn, Mr Kõlvart might possess more personal political capital than as a parliament backbencher. Now, fifty days after the elections, people are popping up in Reform and Centre alike who dare to be a bit more vocal about the following: actually, squirrels featured many a decision maker who advised Taavi Rõivas to immediately league up with Centre. Things would have been a bit easier; perhaps, both biggies could have done better saving faces; an opportunity for a change in society would have been greater as compared to the coalition that we have now. However, by almost daily stiffly repeating the impossibility of an allegiance with Mr Savisaar’s Centre has brought us to this day where criticism and outright gloating about the government seems never-ending. On top of that, the «buddies» i.e. Soc Dems are trying to wash their hand from fuel excise rise (trend not limited to that). This is getting on Reform and IRL nerves. According to grapevine, among soc dems the ranks of the dissatisfied are mightily swelling. Who are we, then?! What are we?! Some are openly saying, for instance, that the musician-writer Mihkel Raud freshly in parliament is not intending to quietly nod along. And there are others. In June, the fuel excise thing will have to be settled. The voting in Riigikogu promises to be fun. Also, they are faced with the Estonia-Russia border treaty issue. The conservative EKRE and the Free are against entering the treaty now. For the treaty to pass, 67 members of Riigikogu will have to vote yes; however, coalition votes do not add up so they will have to talk to Centre. 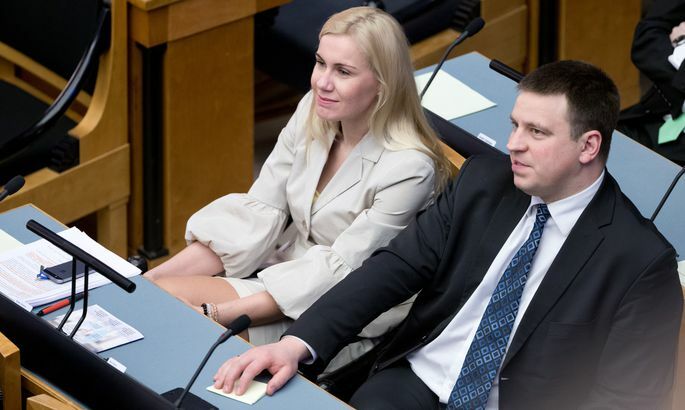 As for the current war of words in the government and the excise-rise-smelling popular anger, the Free Party is having it easiest as onlookers, now busy with what they desired to do most after making it into the parliament – the «Riigikogu Free» are engaged in outings to counties and are building up the party. According to latest Turu-uuringute AS/Public Broadcasting (ERR) poll, it is the Free and EKRE that are on the rise. Centre has maintained its elections-time level of support. IRL has fallen behind the Free. The Soc Dems need a facelift to keep their voters.